Start your next social extravaganza with a helping of Apple, Pecan and Blue Cheese Spread. 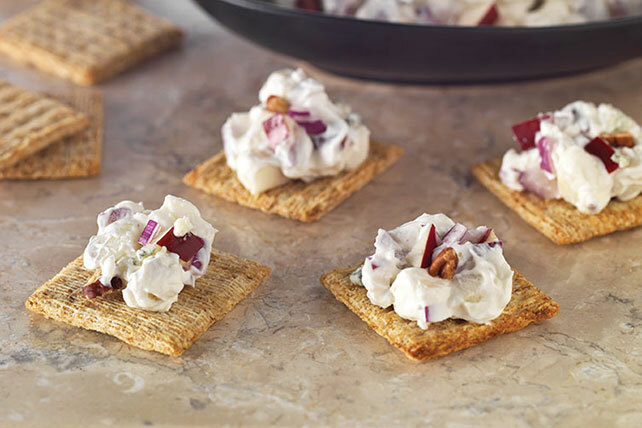 Served on your favorite crackers, Apple, Pecan and Blue Cheese Spread is a sweet and savory appetizer that really dazzles. Plus, our Apple, Pecan and Blue Cheese Spread is a Healthy Living recipe. Mix reduced-fat cream cheese and sour cream in medium bowl until blended. Prepare using PHILADELPHIA Bacon Cream Cheese Spread.